I have been hearing sooooo much about Ralph's Famous Italian Ices that recently opened on the Post Rd in Mamaroneck, NY. Every time I have driven by, since the opening, there have been crazy lines so I knew we had to go and check out what all the hype was about!!!!!! Last night I grabbed my girls and their friends to check it out. OMG!!!! What a treat. Whether you have the water ice or the creme ice or the soft serve ice cream you will not know what hit you. We met the nicest server named Scott, he was definitely the man in chargel and he gave us a bunch of flavors to taste. From Root Beer, to Malibu Bay Breeze to Strawberry to Smores they all were delicious. 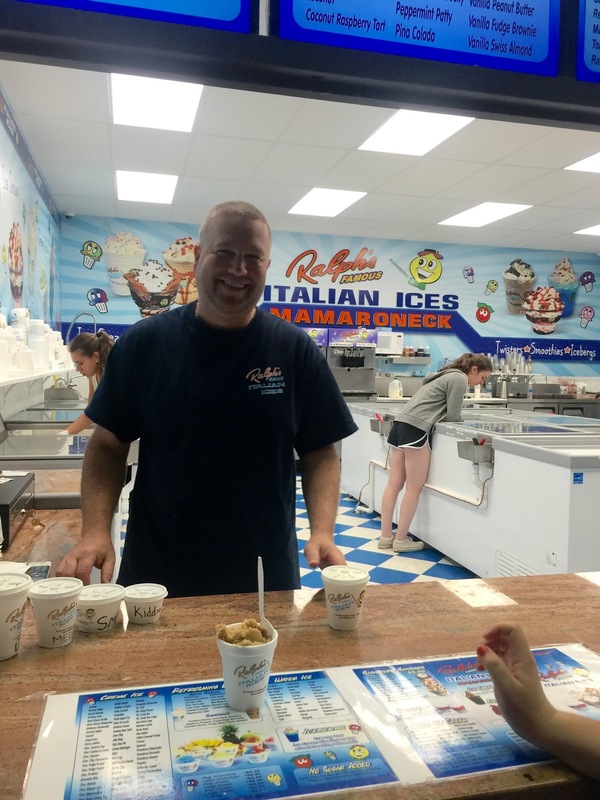 Westchester and Fairfield Readers, RUN DON'T WALK to Ralph's. Also, if you are not close by, check out the website for locations near you. It is one of the best new additions to our area in a lonnnggggggg time!!! Happy Icing!!!!! !